Prevent Blindness invites nominations for the 2019 Jenny Pomeroy Award for Excellence in Vision and Public Health. The Jenny Pomeroy Award for Excellence in Vision and Public Health is presented annually to an individual, team, or organisation that has made significant contributions to the advancement of public health related to vision and eye health at the community, state, national and/or international level. Among the highest honors Prevent Blindness bestows, this prestigious award consists of formal acknowledgement and a commemorative plaque to be presented at the Focus on Eye Health National Summit in Washington, DC on July 17, 2019. It further comes with an invitation to present on this work as the closing plenary speaker of the Summit. The award serves as a living memorial to Jenny Pomeroy, who served as the CEO of Prevent Blindness Georgia from 1996 until 2013 and brought a passionate understanding of public health to her work and our mission. 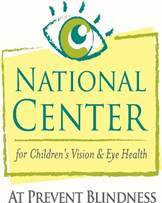 An individual, team, or organization that has made an outstanding contribution to the field of public health and vision and eye health at a community, state, national, and/or international level. If awarded, the recipient or representative (if a team or organization) must be available to present at the 2019 Focus on Eye Health National Summit in Washington, DC on July 17, 2019 to receive the award. Travel expenses will be covered from anywhere in the United States (if international, note Prevent Blindness will reimburse airfare up to $600). Information on previous recipients of the Jenny Pomeroy Award for Excellence in Vision and Public Health can be found here. The deadline for submissions is Thursday, December 13, 2018 at noon ET. For more information, visit www.preventblindness.org/jenny-pomeroy-award-excellence-vision-and-public-health.